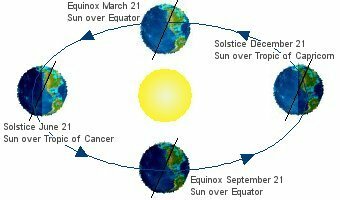 The declination of the Sun on the Summer Solstice is known as the tropic of cancer (23° 27'). In the southern hemisphere, winter and summer solstices are exchanged so that the Summer Solstice is the day on which the Sun is farthest south. The day of the summer solstice is the longest day of the year. The length of time elapsed between sunrise and sunset on this day is a maximum for the year. In the United States, there are about 14½ hours of daylight on this day. June is the traditional start of Hurricane Season in the United States. Hurricane Season in the Atlantic runs from June 1st to November 30th. 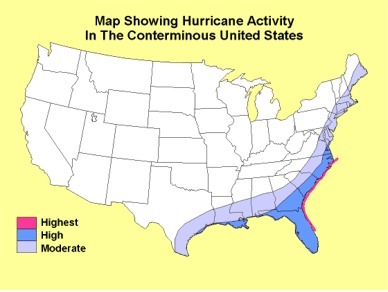 Most hurricanes occur from mid-August to late October.